I survived week 1 of LA Marathon Taper Madness! This week was a fantastic recovery week. After finishing a 23 mile run and gym workout at the end of week 8, I was tired, but ready for the taper to begin! Tuesday, I was pretty motivated to get out and run. The mantra for this past week was to Finish Well! Missing workouts and/or training runs does not qualify as finishing well. So, I was very determined to get out and run on Tuesday. Let me just say, I could feel the tiredness from my previous weekend. Not only was I tired, but the temps were in the low 40’s. Brrr! I know that there are folks out there who might be reading this with snow on the ground outside. But, for this Southern Californian, low 40’s is cold! I put on some of the colder weather running gear @ChampionUSA was kind enough to provide me with and headed out the door. Right from the start this run felt slow. Most of the first mile was spent trying to get warm. During the first quarter-mile, I think my teeth were chattering a little bit. However, I told myself that a slow run was better than no run at all and kept going. By mile 2 I was feeling perfectly fine with the temps. I did my usual switching up of the run/walk interval ratios in the last mile and ended up with a 3 mile run a little over 33 minutes in duration. Considering the tiredness and the cold, cold temperatures, I’ll take it! Thursday, was so much better in every way! The temperatures were in the upper 40’s, the tiredness was not there. It was a great day to get out and run! On the night before, I noticed that I had only missed ONE training run for the entire month of February. So, this was not time for a skip! For this run, I decided it was time to take out the race shirt from the Surf City USA Half Marathon race for the first time! It’s actually a pretty cool race shirt and fits me well (unlike the race shirt from the same race the year before). I was under an 11 minute mile in the first mile again. That told me that I was running better than Tuesday. 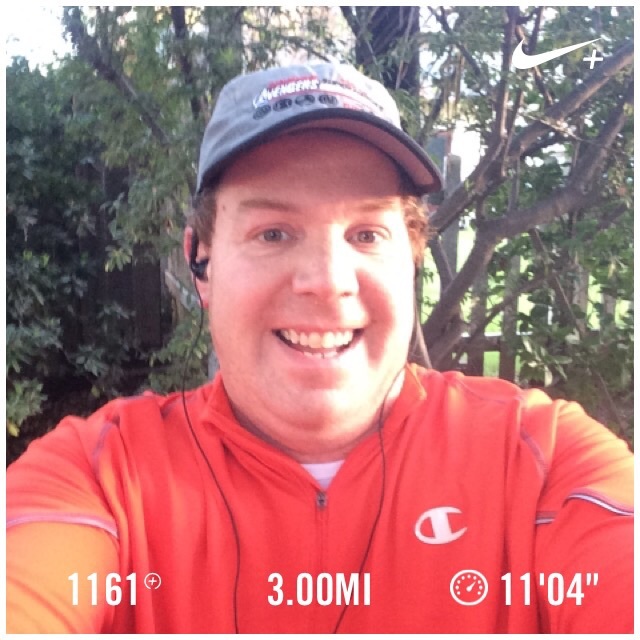 As I neared the end of the 2nd mile, I thought about how much better I’m running these days. It used to be that I’d hope to not be too much over 24 minutes at the end of mile 2. Now, I’m hoping to get there as close to 22 minutes as I can. Not bad! I ended the run right around 33 minutes overall. So, this wasn’t a record-setting run. However, it was a fantastic run and I was really happy with it. Saturday, there was rain in the forecast. So, I had decided to get up at 5:30am for my run. The goal was to get out and run before the rain came back. By the time I got up, everything changed and the forecast had rain returning around noon instead of 8am. That meant I could go back to bed for another hour and leave later! Score! I didn’t actually sleep the entire hour because I was excited to get out to the Rose Bowl again and run my 6 miles there! The temperatures were in the 50’s throughout the run. So, it was great weather for a Saturday run! I got out to the Rose Bowl around 7:15 and was raring to go. After all, I “only” had 6 miles to run! The first mile went really well! I finished in just over 11 minutes! For a Rose Bowl loop run, this is a really good time for me! The second mile continued the good vibes! I finished the 2nd mile by around 22 minutes, 20 seconds! I never seem to go this fast through the Rose Bowl! Not only that, but I was feeling great. I brought water with me and decided to keep the same fueling strategy I’m going to be using for the LA Marathon. I’d take on liquid every mile and a half and food every half hour. You may not need all of that on these shorter runs. However, I wanted to drill this into me. So, it’s staying all the way to the marathon! When I ran 7 miles a couple of weeks ago, I noticed how having the extra liquid really helped. I got to the end of mile 3 in around 34 minutes. 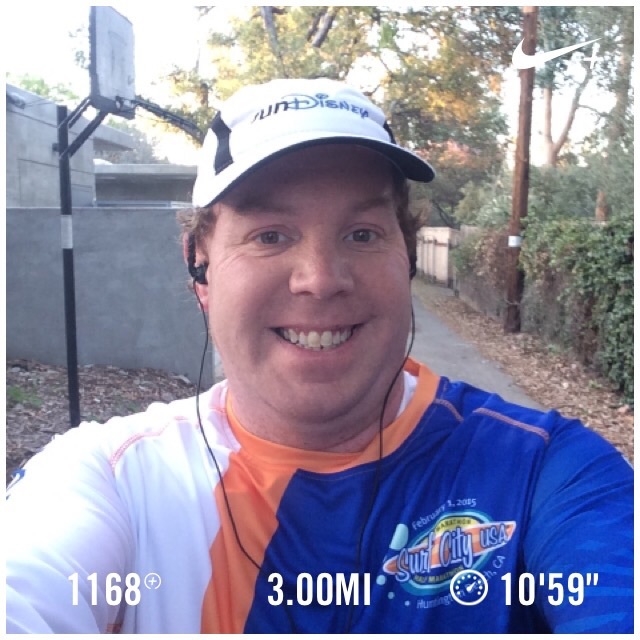 So, it wasn’t too much slower than my mid-week runs without the switch up of run/walk intervals! Like always, the second lap was a little tougher than the first. However, I didn’t give up too much time on the 4th mile. My average pace increased by less than 10 seconds per mile! Towards the end of the 4th mile, it became a big goal for me to finish the 5th mile in under 1 hour again! Guess what? Success! I finished 5 miles in around 57 minutes! Yes, I am getting stronger and faster! Once the 5th mile was finished, it became a game to guess when I’d actually finish. I might have given up a little bit of time in the last half mile. However, I did make every run interval and every walk interval for 6 miles! I even ran the entire last-minute! Let’s just say that there was still plenty left in the tank at the end! On Saturday afternoon, we went off for a little inspiration in the way of watching McFarland, USA. All I have to say is that this film did not disappoint. Whether you’re a runner or aren’t a runner, this film has so much awesome to it! Some may say that it’s a typical Disney sports movie and they’d be correct. Disney has this way of finding great stories that go along with the underdog team that finds success. My favorite line from the movie is the coach telling his cross-country team that they will see hills and smile. Does any runner actually smile when they see hills? Maybe this is something I need to aspire to. I cannot say any words of praise that come close to how much I loved this film and feel like anyone who has ever run before needs to see it. Sunday, it was back to the gym for another taper workout. By taper, I mean condensed. 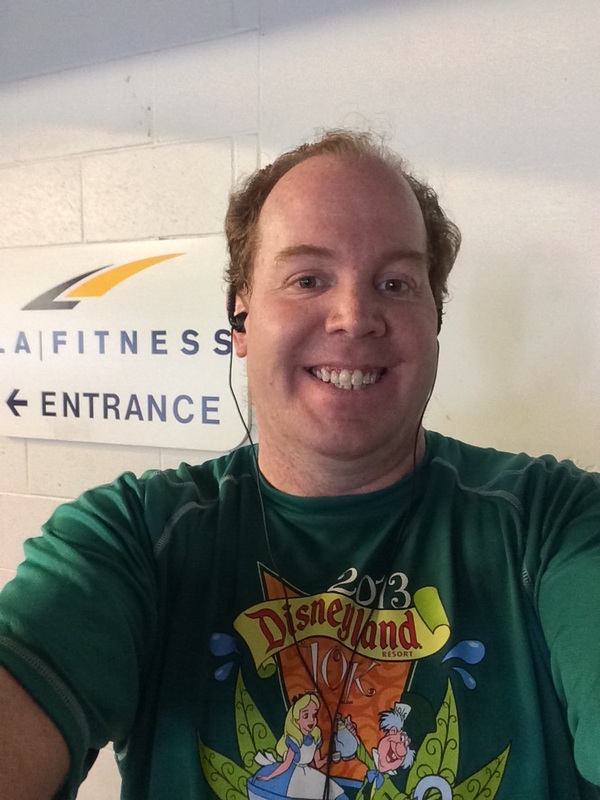 As I mentioned last week, I’ve cut out running on the treadmill and the leg press from my workouts until the LA Marathon is over. That said, it was a fantastic workout! It started out with an easy time on the elliptical machine! It’s amazing how much easier it is to do this machine when it’s at the start of the gym workout vs. the end. Also, when you haven’t run 20+ miles the day before, it works out pretty good. I felt strong the entire way! The ab crunch machine was likewise finished pretty easily. Yes, there was work. However, it’s felt much harder before. The chin ups and dips were the last part of the workout. Everything went by without a hitch! 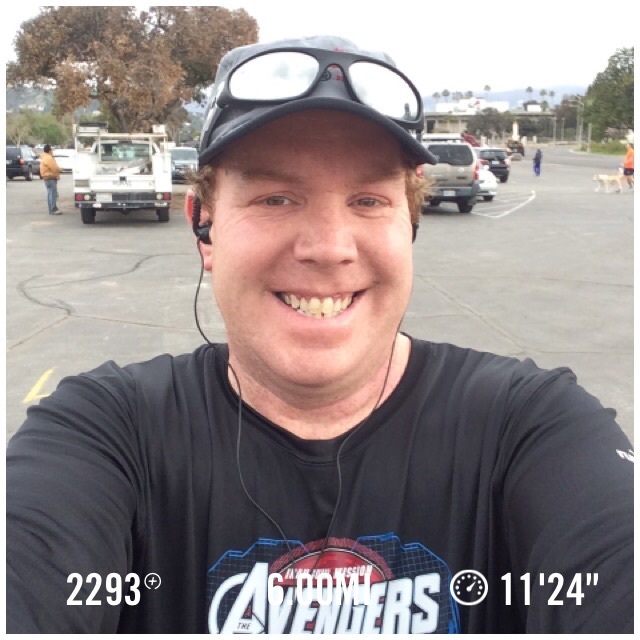 It was a fantastic way to finish week 9 and my first week of tapering for the LA Marathon! Last, but not least, I lost 2 lbs. this week! This has been a rough month with regards to loosing weight. 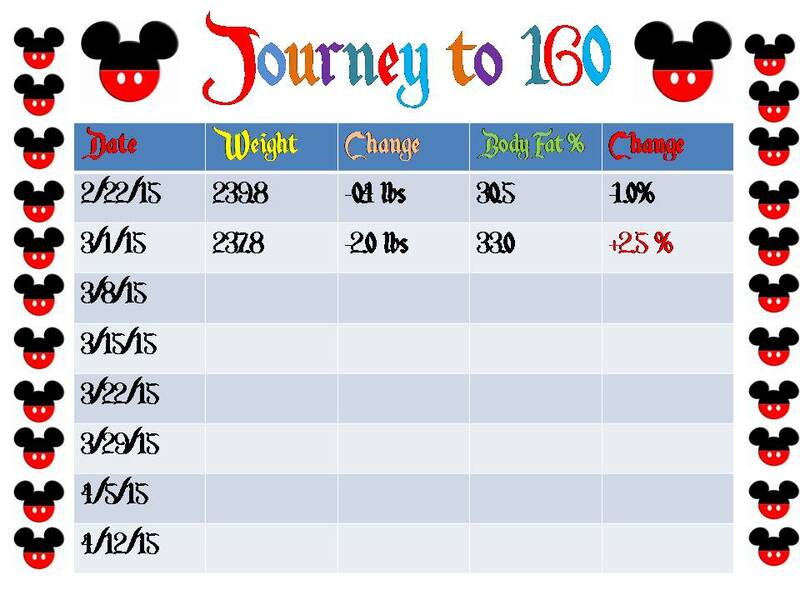 However, I’m ending on a high note with two consecutive weeks with weight loss! If I’m being honest, I was totally expecting weight gain because I didn’t think I ate well enough for loss to happen. There is still so much to learn in this part of the journey. 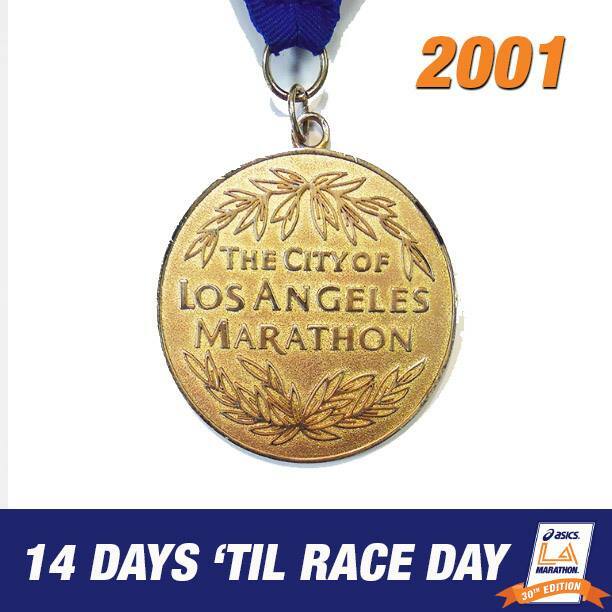 There is now less than 2 weeks until the Los Angeles Marathon! Here’s to week 2 of the taper…Finish Strong! Ugh! Sorry to hear you got sick. Totally rotten timing! I hope you’re able to get in a good run this weekend.